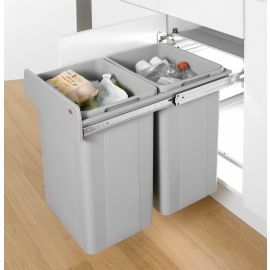 This generous single compartment 42 Litre in-cupboard kitchen recycling bin from Hailo is for use with cabinets with hinged doors with minimum width of 400mm. Just open the door and use the extended panel at the front to pull out the 42L bin, which slides out smoothly on strong full extension ball bearing runners. 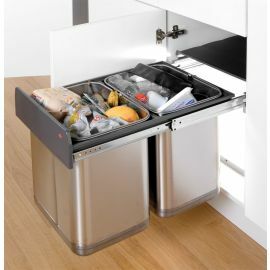 When you're finished the bin slides back under the integrated plastic lid. 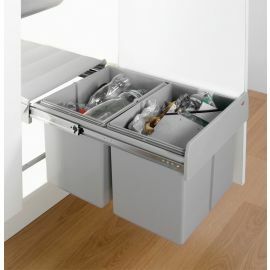 The top quality German-engineered steel frame simply fixes to the cabinet base with 6 screws and then the bin is ready to use. 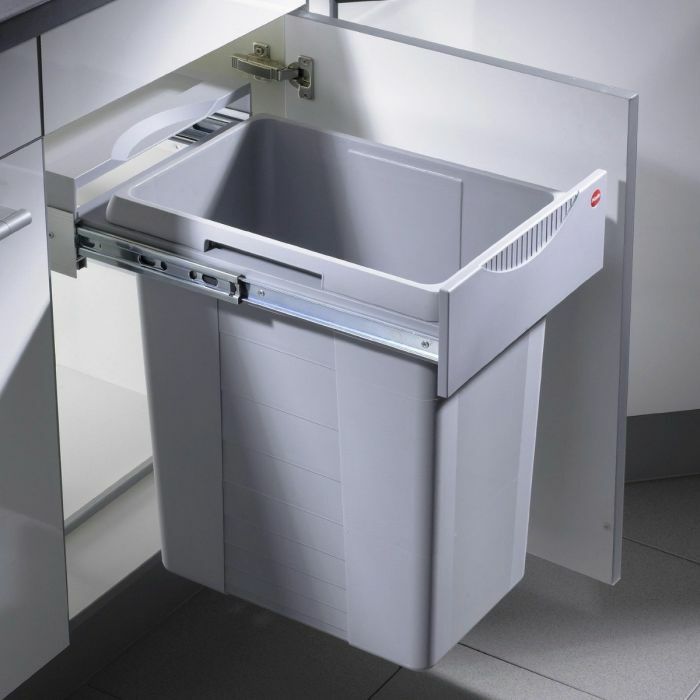 Because of its free-standing design the bin can be used in cabinets wider than 400mm, leaving space to the side for additional storage. The bin lid is strong enough to use as a shelf for liners etc. The inner bucket itself is easily removed and washed when needed.  To see our range of products for cabinets with 400mm Hinged Doors click here. 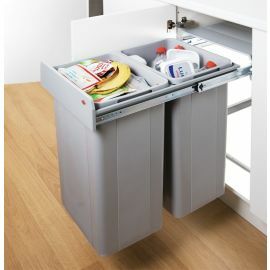 LINERS: Our Simplehuman Q Liners (CW0264) fit the 42L bucket of this bin really well.